Shape coefficient (SC) is an important factor affecting energy consumption of residential buildings. Due to lack of suitable and efficient methods for building three-dimensional data acquisition, there are few studies on the regional characteristics of rural residential SC. In view of this, taking the rural residential buildings in Hangzhou as the case, a new analysis method for regional similarity of rural residential shape coefficient at the municipal level is presented in this paper. This method contains four steps of work. Firstly, the applicability tests need to be conducted for the selected remote sensing images in Google Earth. Secondly, Hangzhou is divided into several sub-regions and the sample villages are selected in each sub-region. Thirdly, SC of rural residences in each sample village can be obtained based on Google Earth. Lastly, regional similarity of residential SC can be analyzed at municipal level by cluster analysis method. The case study shows that there are obvious regional similarity characteristics for the SC of rural residences. When the clustering distance is 10, the sample villages can be divided into three types, namely type A villages, type B villages and type C villages which have different mean and standard deviation. 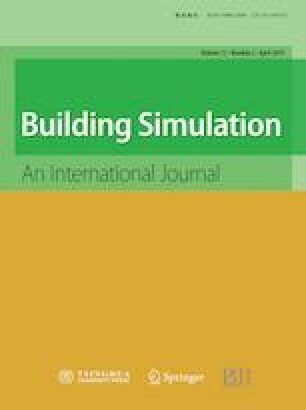 The new method makes it feasible to assess the geographical distribution characteristics of SC of a certain type of buildings, which can provide basic reference data not only for policymakers to make the most suitable building retrofit policy but also for building designers to conduct energy efficiency designs at regional scale. The work was supported by Natural Science Foundation of Zhejiang Province (No. LY19E080024), the Ministry of Education of Humanities and Social Science Project (No. 14YJCZH113) and the National College Student Innovative Project (No. 2013200071).